Created in 1946 by the man who named it with its initials, the CK Group is today one of the country's leading players specialised in the installation and management of multi-functional office automation systems, IT solution consultancy and digital archiving solutions. It’s not altogether uncommon for a company’s history to be strongly linked to the personality of its founder, and this is certainly the case of the CK group, which specialises in the installation and management of multi-functional office automation systems, IT solution consultancy and the introduction of digital archiving solutions. C and K are in fact the initials of the company’s founder, Charles Kieffer, who decided to set up a photochemistry company (offering photographic, printing, photocopying and audiovisual services) in Steinfort in the wake of World War II. These were the days when office automation was unheard of, and when copying a document would cost you 700 francs (the equivalent of 17 euro in today’s money) and take somewhere around 8 days! Generating some 30,000 francs in turnover in his first year (the equivalent of 750 euro in today’s money), Charles continued to work alone for the first decade before hiring his first employee in 1957. Document and image processing was one of the passions that would drive Charles Kieffer’s business forward with pioneering spirit. He became the first person to introduce the offset system (now the main process used in the printing sector) to Luxembourg in 1958 and the first portable electronic flashes for cameras designed for both personal and professional use in the early 60s. He began offering document microfilming services in 1970, with Arbed (now ArcelorMittal), the State archives, the national library and even the European Coal and Steel Community (ECSC) among his first clients. A few years later the company would exclusively introduce the Minolta Copiers brand to Luxembourg. The 1980s would mark a new chapter for CK with the introduction of Autodesk – one of the world leaders in computer-assisted design software. “I’ve always tried to reflect the latest trends as closely as possible and I feel a certain pride in having supported the migration from mechanical technologies to digital processes”, Charles Kieffer explained when celebrating the company’s 60th anniversary in 2006. Sport would be another of his passions that would come to leave its mark on the group’s history and development. Indeed, from November 1969 to December 1972, Charles Kieffer, then-Chairman of Steinfort Tennis Club, also served as the town’s mayor, developing two facilities that were still unheard of in the country at the time, namely an indoor tennis hall and a fitness track. A few years later, when the City of Luxembourg launched a public tender procedure for building an indoor hall in Kockelscheuer, Charles Kieffer won the contract. Thus was born the CK Sport Center, which would become the largest indoor tennis and skittles club in Europe, followed by the takeover of a fitness centre in Esch-sur-Alzette in 1993 and the subsequent opening of three other similar fitness centres in Thermes de Strassen, at the Topaze centre in Mersch and in Junglinster. 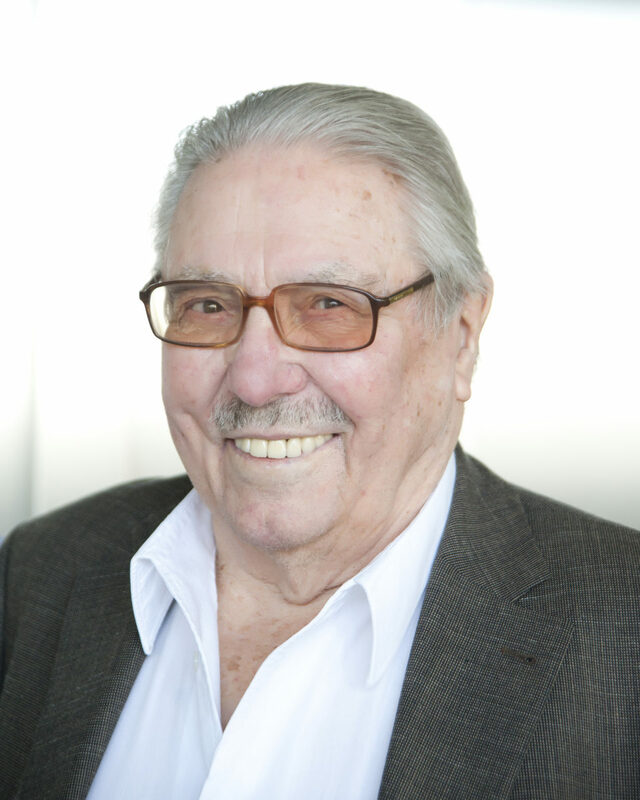 Charles Kieffer, who had always played a very active role within his company, died in April 2013 at the age of 91. But the spirit he had instilled in over 65 years working within this resolutely family-run business has survived him, and the fact that CK was featured among the London Stock Exchange’s top 1,000 most inspiring companies in Europe in 2017 is evidence of this. As well as supporting major business digitisation projects, CK is also an active player in the fields of audiovisual facilities for lecture theatres, dynamic display systems and the sale of specialist professional document finishing equipment. 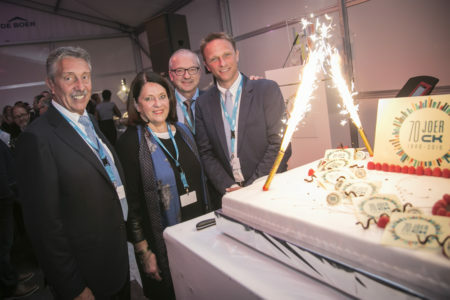 Management: Suzette Elsen (Finance and Communication), Josy Frisch (Business operations), Bernard Hugo (Services) et Patrick Mergen (Administration).